The teenage pedestrian who died following a collision with a van on the A27 last week has been named as a Spanish student by police. The young man killed was Joan James Russon, an 18-year-old student from Spain who was on holiday with his parents visiting family in the Chichester area, police said. 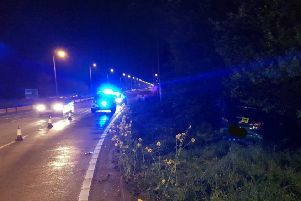 Emergency services including an air ambulance were called to the collision between a green van and a pedestrian on the A27 westbound, close to the Oving lights junction with Shopwhyke Road, at 1.07am on Tuesday, May 1. He was airlifted to Southampton General hospital with significant head injuries, and later died, police said. Any witnesses are asked to contact police online or by calling 101 quoting Operation Perimeter.